Are you the owner of Beachcomber Motel & RV Park in Ninilchik Alaska? Did you know that you can convert this page to a complete listing of your services today for nearly nothing? Put your listing in front of visitors planning their trip to Alaska. Add your own coupons, pictures, services and more. Full advertiser packages available. Contact us today, we're your neighbors and friends so don't be shy. Camping information for Ninilchik Beach and Riverfront Campground with directions to all campgrounds and RV parks near Ninilchik Alaska. 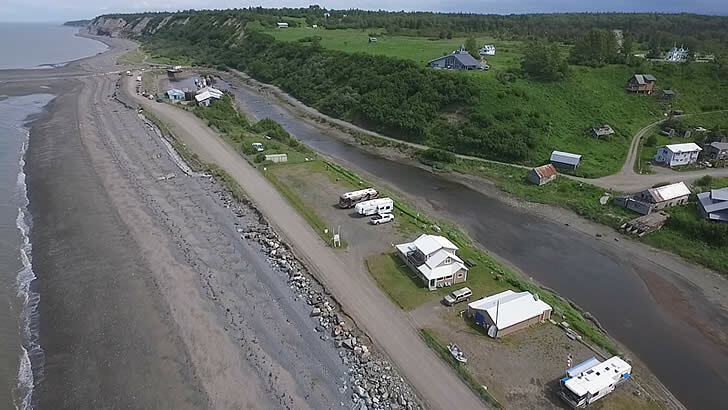 Beachcomber Motel & RV Park offers outstanding access for Ninilchik River bank fishing. Campground and Motel with prime access to Alaska Halibut Fishing and Alaska Salmon Fishing in both the Ninilchik River and Cook Inlet. Directions — On the beach between the Ninilchik River and Cook Inlet beaches in Ninilchik, AK. Description — Motel and R.V. park with full hook-ups with the beach on one side and the best fishing spots along the banks of the Ninilchik River on the other. Clamming and fishing is literally right outside your front door. Number and type of hookups — All sites offer full hook-ups, we are inquiring as to exactly what is included and will update this page soon. Dates of Operation — May 1st and Labor Day Weekend. Services — RV space with full-hook ups. Boat tie-ups also available. 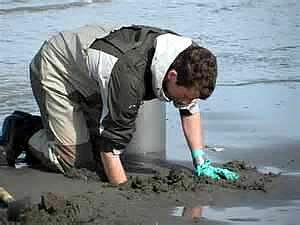 Additional Amenities — Fishing, Clam Digging, Beach Combing, Relaxing, Unwinding. Beach front property with camping and fishing too. Come on down to Ninilchik and spend some time at the Beachcomber Motel & RV Park. We believe you will feel like you found you're piece of heaven too. The Beachcomber Motel & RV Park is open from May 01 through Labor Day Weekend.